In the old days, you would need to code in cryptic languages for hours just to create a simplistic page that displays a little bit of information. Nowadays, the appearance of CMS (Content Management System) has made it possible for virtually anyone to make a web page of their own and populate it with information and opinions that are relevant to them. One of the popular form of web page is blog, and the number of blogs present in the internet is growing rapidly. 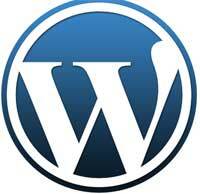 In order to create a blog, you would need to utilize a CMS. The most popular CMS used for blogging today is WordPress, due mainly to the fact that is very simple to use and you can get your blog up and running in no time at all. The popularity of WordPress has gained it a lot of followers and subsequently, a lot of people have created more templates, plugins, and other types of usable content that can be easily used with wordpress. These tools made creating blogs on WordPress even easier than before. You need not know the intricacies of coding web pages to have a well built and successful blog on WordPress. Drupal on the other hand is a less known CMS. Despite being overshadowed by WordPress, Drupal has so much more features available compared to it. Drupal can be used to create websites that are a lot bigger and a lot more complex, a capability that WordPress cannot match. The main and only drawback that Drupal has with regards to WordPress is the degree of difficulty that you would encounter when creating your pages in Drupal. Difficulty aside, Drupal offers a lot more customizability in almost every aspect, from the control panel, to how your page is arranged, and even beyond. To put it in perspective, WordPress is the choice when your objective is getting a page up as quick as you can, whether it’s a blog or a small site. There is very little work that you need to do aside from creating the content that should go into your page. But if you wish to create small site with the aspiration of expanding it later on, then you might want to look into Drupal. It might take a little bit longer to learn and build your pages with Drupal but the end result would be a much more dynamic page that you can expand later on depending on your needs. Ben Joan. 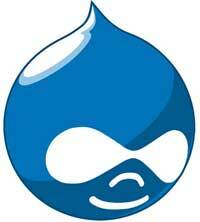 "Difference Between WordPress and Drupal." DifferenceBetween.net. September 8, 2009 < http://www.differencebetween.net/technology/difference-between-wordpress-and-drupal/ >.